Founder & Owner of ALE Solutions, Inc.
At an early age, I learned that hard work, passion, and commitment lead to success. My mom paved the way for our family to realize the “American Dream.” I was only 2 when my mom left behind my dad and her 4 children and immigrated to the United States from the Philippines in search of a better opportunity for us. While my mom was in the U.S., my grandmother taught me how to survive. She used to take me to the open market every weekend, where we would find a good location to set up our bamboo mat and sell the vegetables we grew. My mom juggled 2 or sometimes 3 Nursing jobs. After 5 years, my mom’s dream finally came true! She became a U.S. Citizen and had saved enough money to bring all of us to this country. My mom’s strong work ethic, determination and vision taught me to always give 110% and to “Dream Big!” Thanks, Mom! In 2001, I realized a dream of my own and started ALE Solutions from the basement of my home. I was determined to build a company based on integrity and heart. From paying my way through college at the University of Illinois – Chicago to pursuing careers in retail, advertising and consulting – I love a challenge. My prior experience in the temporary housing industry sparked ideas about building a better mousetrap. I launched ALE with a desire to provide an easier and more transparent way to serve the needs of displaced policyholders. Driven to be the best that I can be, I find joy in making memorable experiences for our customers. As ALE grew, so did my family. I am the mother of three boys, who bring out the kid in me. They challenge me to imagine what the future will look like. They convict me to stay ahead of technology and to never take business for granted. 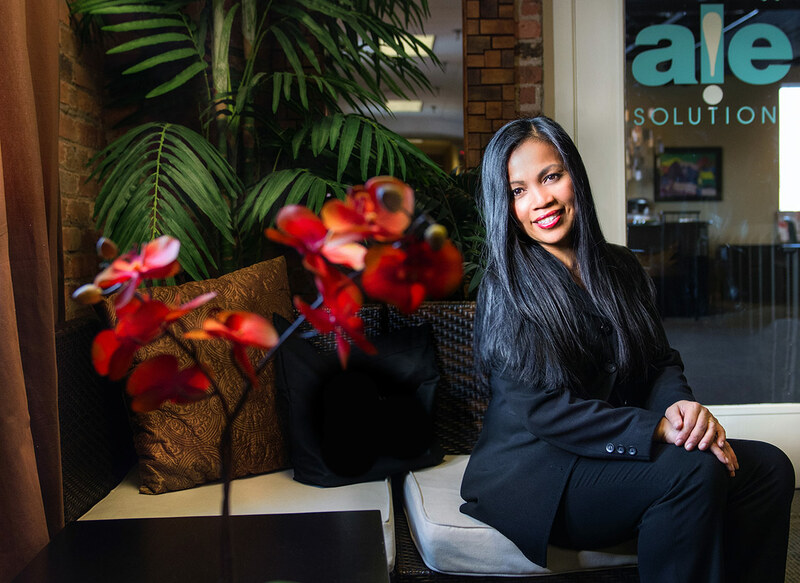 I want our clients to rely on ALE to create innovative, fun, easy-to-use solutions. Today, I am involved in every facet of ALE, working with management to ensure the company delivers exemplary service and exceeds the needs of insurance carriers. 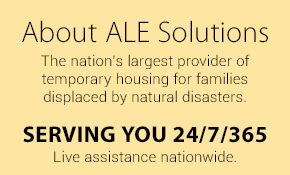 ALE has grown into a dynamic, nationwide temporary housing company that employs hundreds of people and serves thousands. I have also created a 501c(3) nonprofit arm, ALECares, which brings to life the passion with which the ALE team approaches their work on a very human, personal level. It humbles me to see the commitment that everyone on the ALE team exhibits as they go above and beyond for our customers. Though we have experienced tremendous growth, I remain passionate about being available to any customer, anytime with one phone call. My vision for the future includes continued company growth that benefits both customers and employees. As a child (one of five siblings) my family lost our home and pet to a fire. Now, as an adult, that was always one of my fears. On March 25, 2015 my fear became a reality. My family and I were all staying wherever we could lay our head down. The town we lived in had no hotel availability. I worked close with ALE, and together we found a place to live until our house gets rebuilt. We had to go to a different town, but it’s nice to have somewhere to go. We had nothing, and ALE furnished the apartment, including towels, kitchen items, and just about everything you can imagine. We also receive caring phone calls to see if everything is alright. I just want to say THANK YOU! My family and I would not have known what to do without your help.